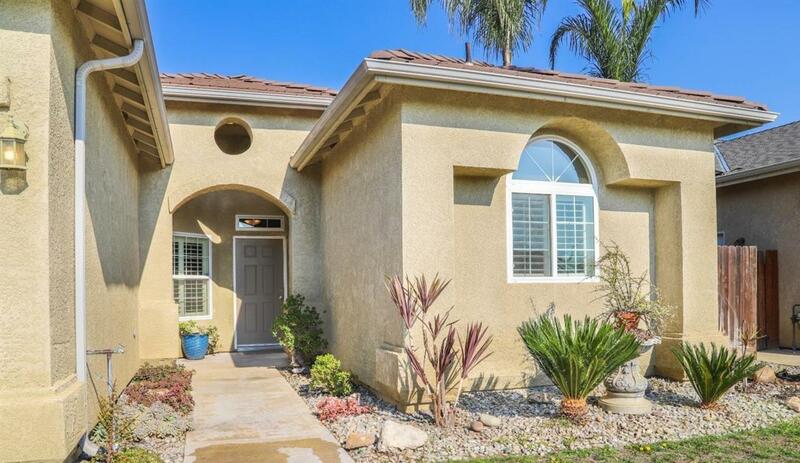 Nice Stylish home, with 3 car garage, is sparkling clean and ready for you! Great room is open with 10 foot high ceilings, beautiful window shutters, gas fireplace and clean carpeted flooring. 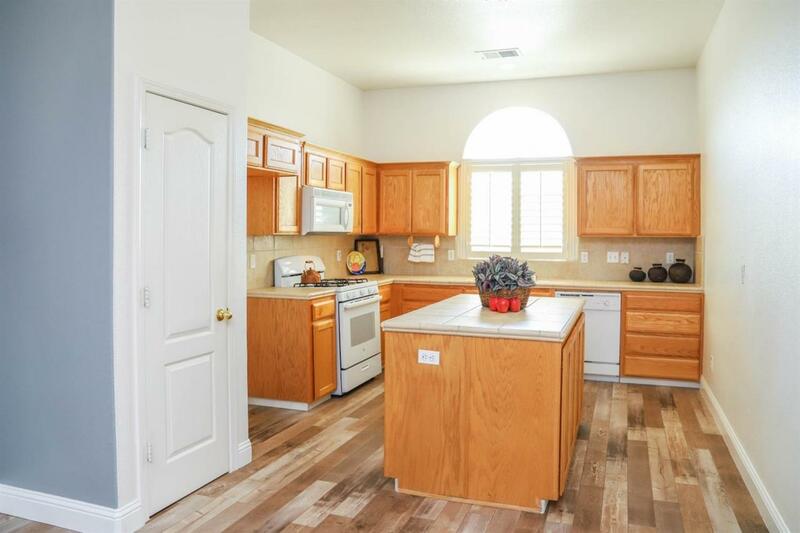 Spacious kitchen and dining area with beautiful freshly installed wood laminate flooring, has a big working island, 12 inch tile counters and newer gas stove. 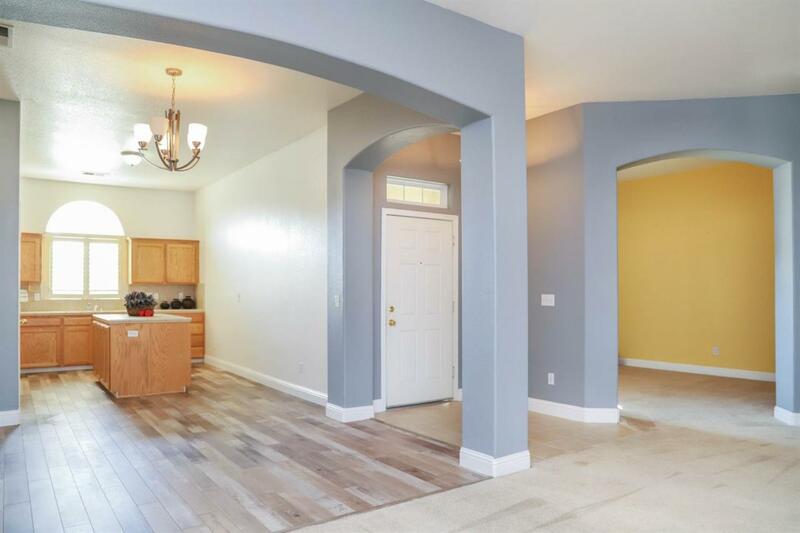 Den/dining room has high ceilings and opens to both Great room and kitchen. The expanded Owners suite has walk in closet, its own en suite with two sinks and extra large tub/shower. The 2 other bedrooms are carpeted with a hall guest bathroom, shower/tub and tile counters. Backyard is low maintenance with sizable covered patio and concrete walkway on both sides. 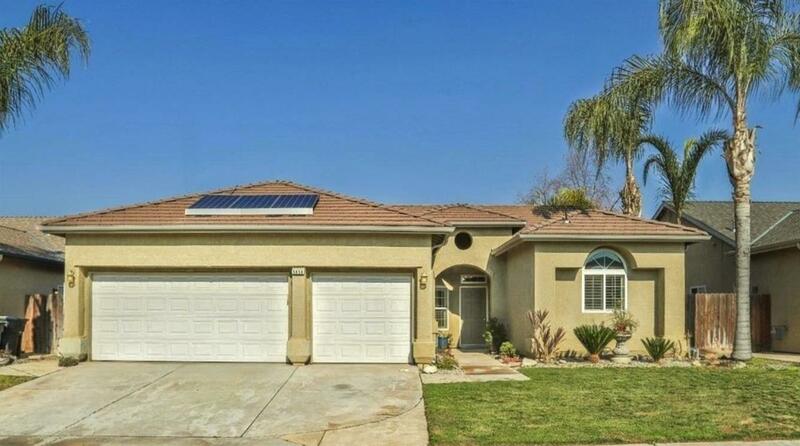 Home is close to park, schools, shopping and the countryside. Saving you money on electric bills are the Solar panels, a leased Power purchase agreement with Vivint Solar, easy to transfer. Listing provided courtesy of Marty Couto of Realty Concepts, Ltd.